The other perspective of physical space in both philosophical and practical sense led Frenk Gehry of becoming one of the world’s most prominent architectural figures since the second half of 20th century. The employment of new concepts of construction and the use of materials has been and still is pretty futuristic and in accordance with latest technological achievements. Aesthetically, Gehry’s buildings are reminiscent of avant-garde movements of the 20’s and reflect the architect’s immense interest for blending strong visual expressions and utilitarian demands in a concise narrative. Frank Gehry was born as Frank Owen Goldberg in 1929, in Toronto. From the early childhood, he was encouraged by the family to develop his creativity by playing with the idea of imagery cities. Nevertheless, his family moved to the United States in 1947, and soon afterward Gehry got a job driving a delivery truck, and studied at Los Angeles City College, and graduated from the University of Southern California’s School of Architecture in 1954. After graduation, Gehry started working jobs unrelated to architecture, but in 1956, he moved his family to Cambridge, where he studied city planning at the Harvard Graduate School of Design. He left the program since it was not appealing enough in that period. After the return to Los Angeles, Gehry started working for Victor Gruen Associates, a firm in which he apprenticeship during the studies. During 1957, he was given an opportunity to release his first project titled The David Cabin in collaboration with his classmate Greg Walsh. 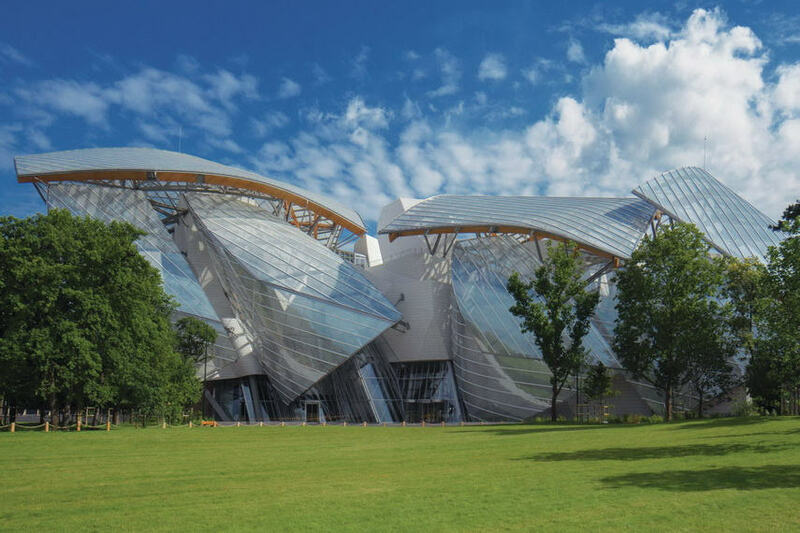 Four years later Frank Gehry was hired by architects Pereira and Lickman so he moved to Paris. 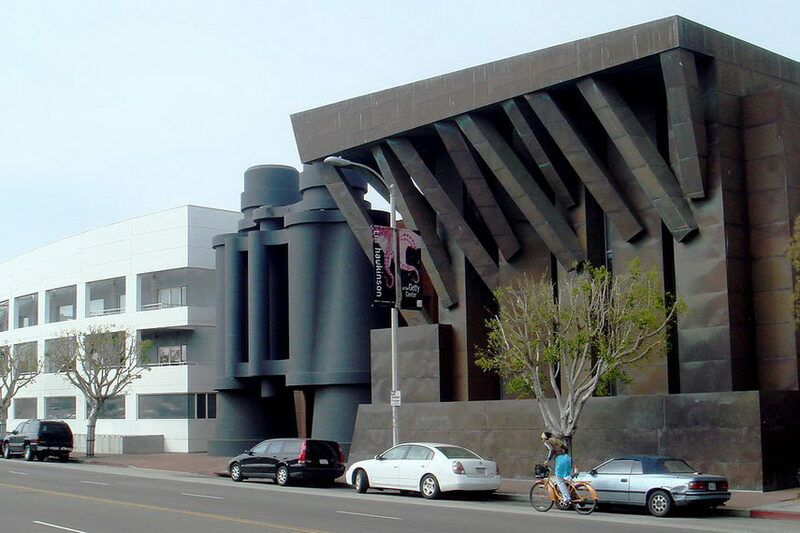 Finally, in 1962 the architect was able to establish a practice in Los Angeles which later became Frank Gehry and Associates and in 2001 was renamed to Gehry Partners. The sophisticated, sometimes brutal and precise style of Frank Gehry is largely rooted in experimentation. Although the architect has been influenced by the modernist matrix, he was on a constant search for transforming imposed canons in order to reach new levels of construction and forming. The peculiar approach of collaging, decomposing and remodeling is especially relevant in the context of engaging the principle of disruption of forms as his main feature which made him one of the leading figures of Deconstructivism, a postmodernist style of architecture developed in Europe and the USA characterized by radical freedom of form. During the course of time, Gerhy started receiving various commercial commissions and mostly has realized projects in California. Nevertheless, perhaps the architect’s most iconic work from the period in between 70’s and 80’s is his own house. 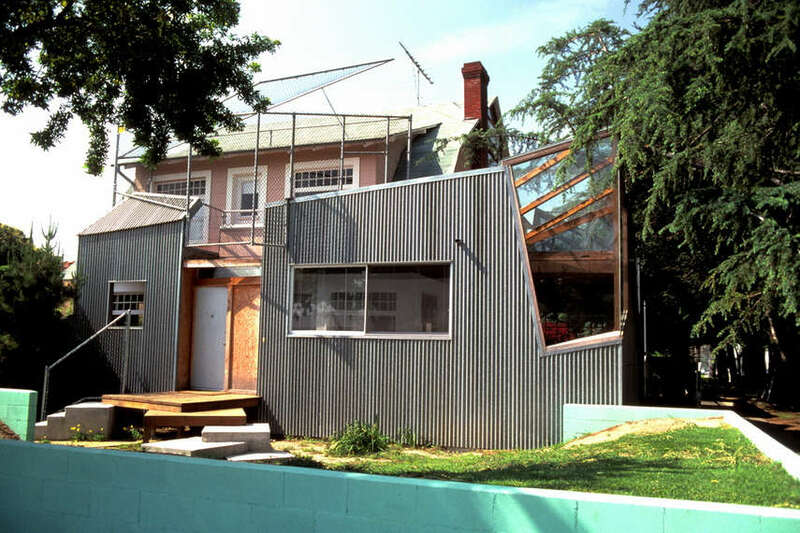 Actually, it was a bungalow from the 20’s which Gehry and his wife bought and decided to modify. He used unconventional materials, such as chain-link fences and corrugated steel, but remodeled it again in 1991 due to an increment of his family. 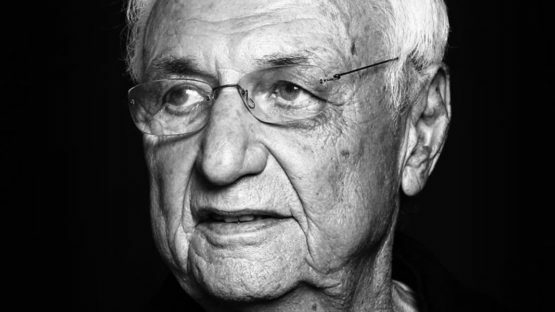 By the end of the eight decade, Gehry’s career spanned and in 1989 he was awarded prestigious the Pritzker Architecture Prize. 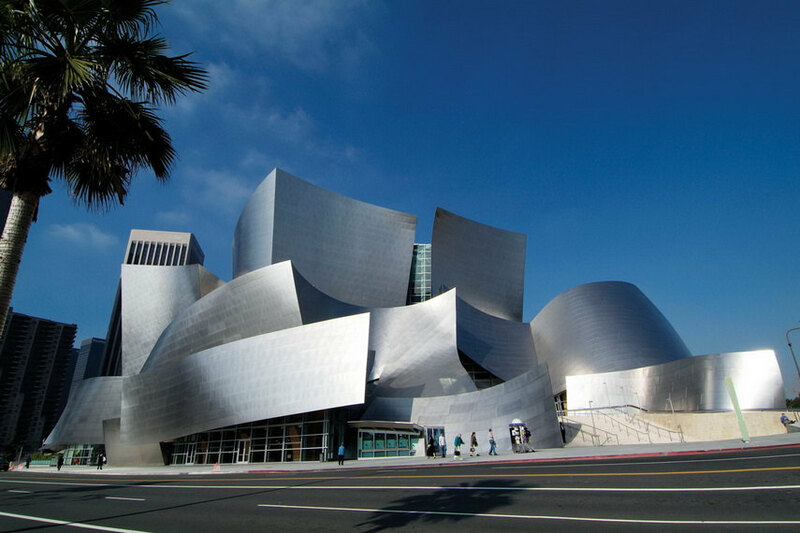 High artistic domains of Gehry’s authentic style soon after the award came have been notified so naturally he mostly started building concert halls, museums, and theaters. By working on these projects, the architect was able to fully express his visionary concepts regardless of clients strict demands. The first commission of this kind, and first from Europe, came to the building of Vitra International Furniture Manufacturing Facility and Design Museum in Germany and after couple of years came a commission for Frederick Weisman Museum of Art in Minneapolis, the Cinémathèque Française in Paris, and the Dancing House in Prague, and in later years many others. 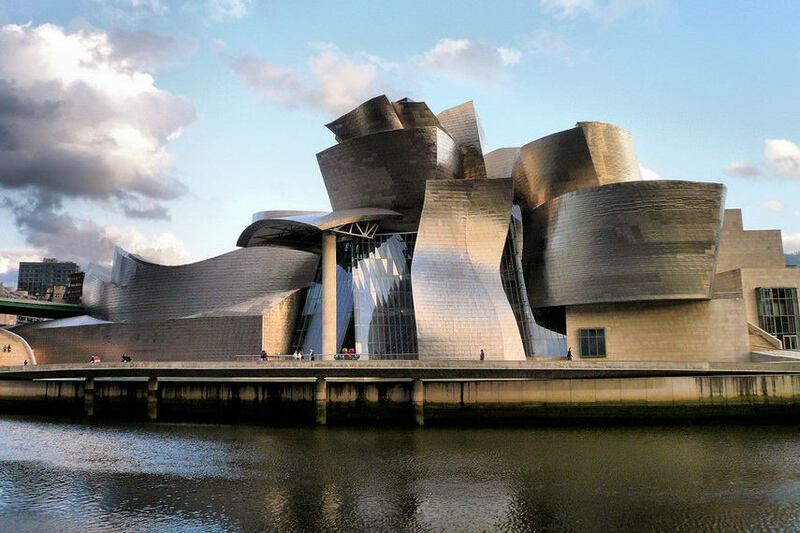 In 1997 the architect was hired to develop a project for a new Guggenheim Museum in Bilbao. 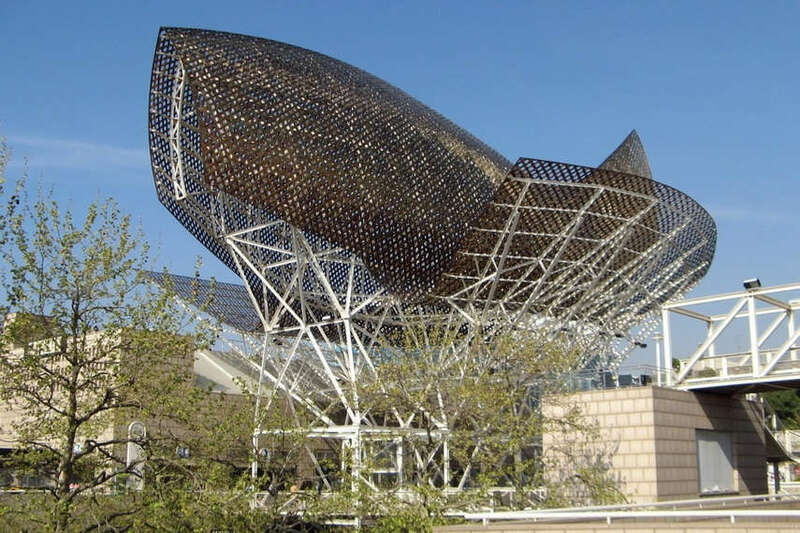 The request was for the building to be daring and innovative, so Frank Gehry decided to produce a peculiar structure fully integrated into the urban landscape. 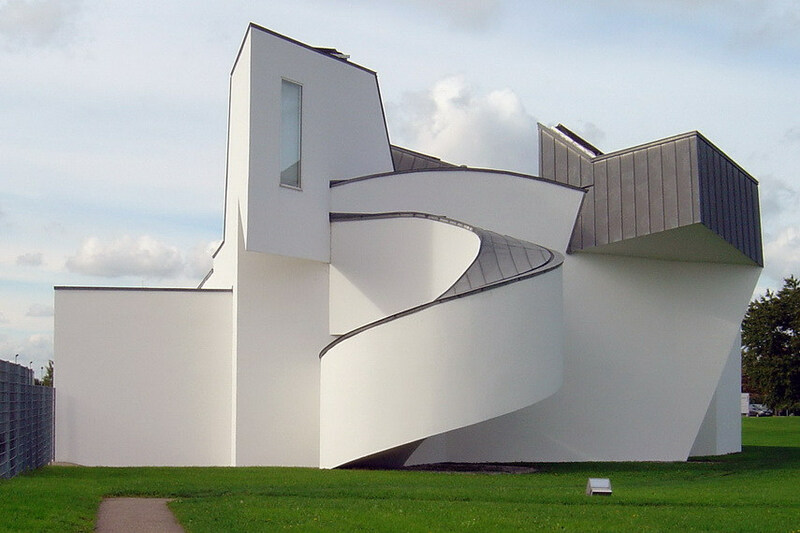 Namely, the curvy exterior was designed to catch the light while the interior was fulfilled with over nineteen galleries, ten of which follow a classic orthogonal plan and the remaining nine galleries are irregularly shaped. Shortly after it was opened, this ingenious structure was hailed by New Yorker Magazine as a masterpiece of the twentieth century. Among his best works is certainly curvaceous and hailed Walt Disney Concert Hall built in 2003, in Los Angeles. Other notable works include academic buildings such as the Stata Center at MIT and the Peter B. Lewis Library (2008) at Princeton University, commercial buildings such as the IAC Building (2007) in New York City, and residential buildings such as Gehry’s first skyscraper, the Beekman Tower at 8 Spruce Street (2011) in New York City, and the luxurious Louis Vuitton Foundation in Paris, finished in 2014. In 2013, Gehry was appointed joint architect with Foster + Partners to design the “High Street” phase of the development of Battersea Power Station in London, Gehry’s first project there. Interestingly so, an ongoing project is the Guggenheim Abu Dhabi on Saadiyat Island in the United Arab Emirates. Despite the huge success and appropriation of the term Starchitect, Gehry has been continuously active in several other fields as well. In 2011, he started lecturing as the Professor of Architecture at the University of Southern California. Simultaneously with the architectural projects, he has been involved in a number of exhibition designs and practically from the 60’s mostly worked for the Los Angeles County Museum of Art, but for Solomon R. Guggenheim Museum as well. 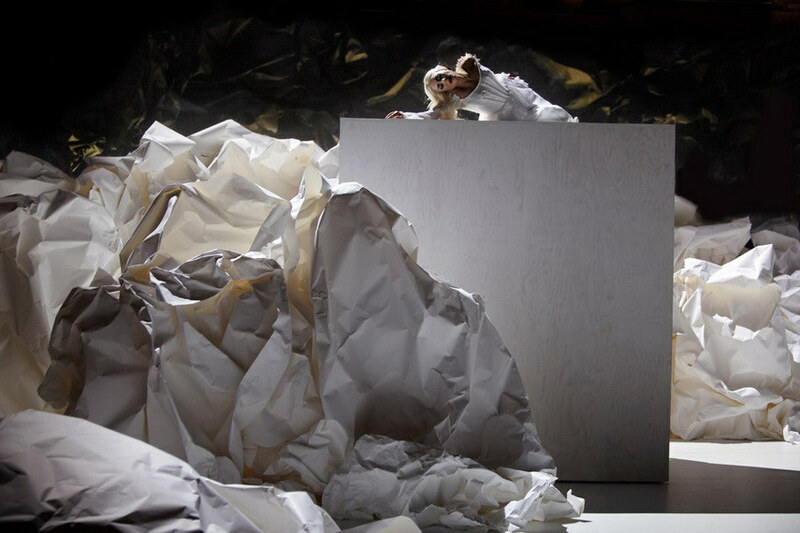 Frank Gehry also released several set designs such as the one for Lucinda Childs’ dance Available Light in 1983, the set for the Los Angeles Philharmonic’s opera production of Don Giovanni in 2012, and a set for an exploration of the life and career of Pierre Boulez by the Chicago Symphony Orchestra in 2014. 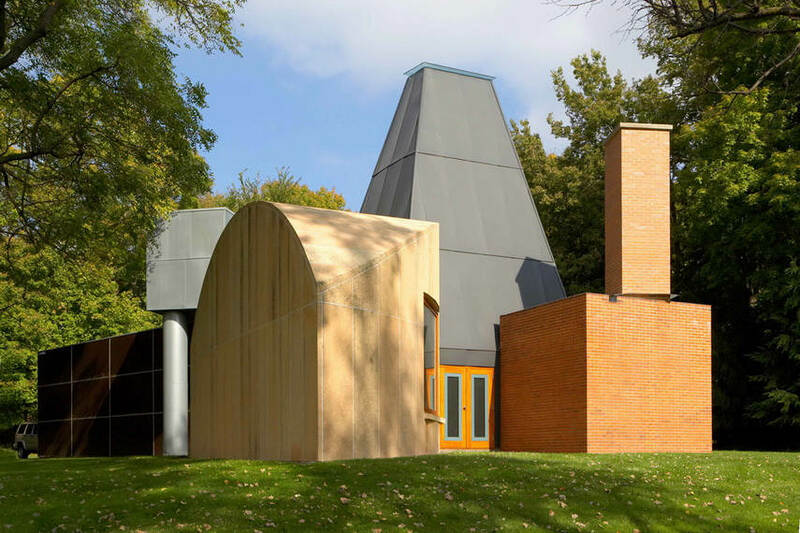 In 2010, the infamous Vanity Fair magazine made the World Architecture Survey in order to determine the most important works of contemporary architecture and the work of Frank Gehry was pronounced as the most important architect of our age. The outstanding achievements of his have been at the same time celebrated and honored, his domains were critically disputed in regards to functionality and even socio-political implications. Nevertheless, Frank Gehry still produces vast, impressive and highly sophisticated structures which dazzle the majority of the population and inspire new generations of architects, artists, and designers. Frank Gehry lives and works in Los Anglese.